However, these are just recommendations. 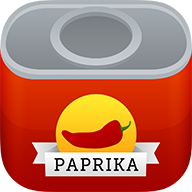 Paprika's browser uses a natural language processing engine that directly analyzes the text on a webpage in order to find the recipe. This means that most English language websites should be automatically supported by Paprika's browser.